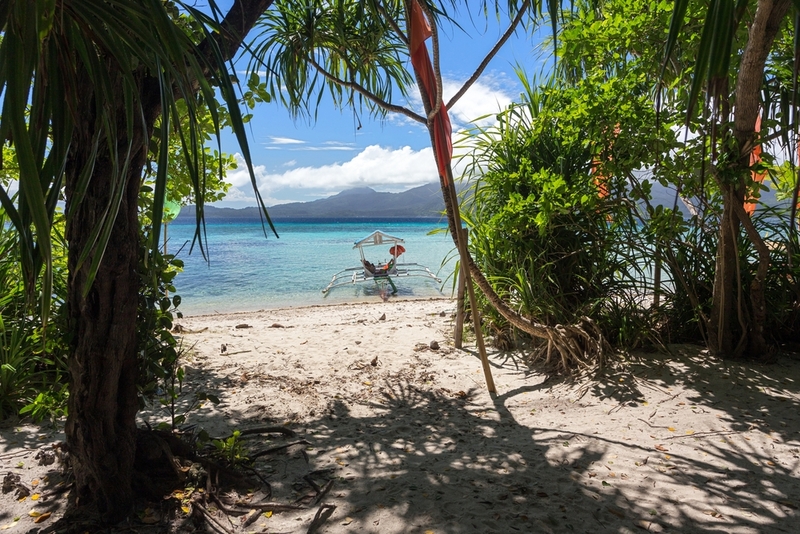 Made up of over 7000 tropical islands, the Philippines is a beach lover’s paradise. From the sprawling mega-islands to the isolated stretches of sand in the middle of the ocean, the country’s alluring coastline, mystical tribal villages and rich stew of cultures has given it a timeless quality that OROGOLD cannot wait to share with you. The biggest of the Philippine islands, North Lazon is covered with misty mountains and pine trees. Although it may only be 300km north of Manila, the capital city, Banaue is 1300 meters above sea level, and a world away from the beaches and palm trees of the south. Banaue is the heart of rice terrace country and, etched along the many plunging ravines, are the rice terraces that are more than 2000 years old. A trek along these rice terraces will take you through various traditional villages and breathtaking waterfalls. These villages, in UNESCO-listed terraces, provide a livelihood for the different tribal groups that still live in isolation up in the mountains. 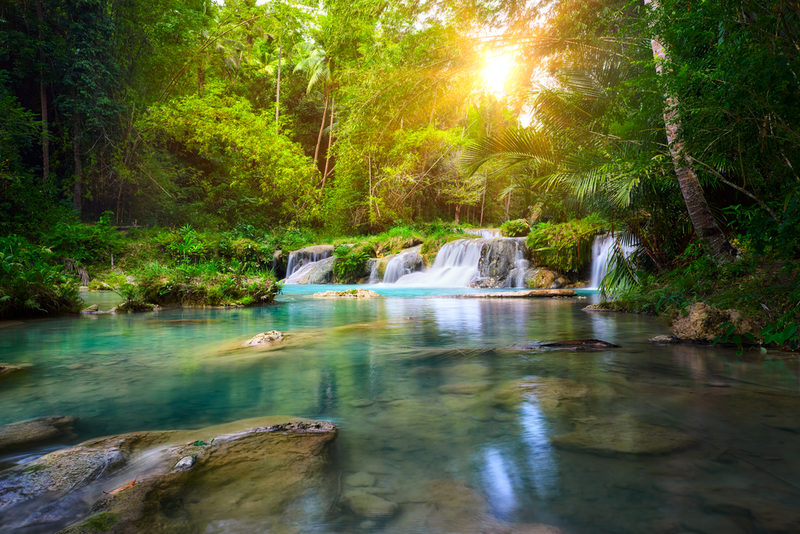 The magical island of Siquijor is both admired and feared by locals and visitors alike, and is the place to go if you are seeking out a witch doctor, more commonly known in the Philippines as boroboro. The Provincial Tourism Department can provide a list of official healers, or just ask some of the locals to point you in the right direction, as most of the healers live up in the mountains and can be difficult to find. Aside from the magic, Siquijor has more than 20 different dive sites, and opportunities to go beach hopping, cliff jumping and wildlife-viewing. Camiguin Island, a pear-shaped, volcanic island, is an OROGOLD favorite, and is an area that remains relatively untouched by tourism. Although it may be small in size, it has plenty to offer, the most exciting of which are its seven volcanoes. Camiguin’s white sandy beaches and sparkling lagoons are perfect for some relaxation, or, alternatively, explore the underwater wonderland at the many different dive sites, including diving through an underwater cemetery. There are also plenty of waterfalls and hot springs to explore, and the rugged landscape makes for some challenging, yet rewarding, hiking. The fourth week of October, for the annual Lanzones Festival, is when Camiguin Island sees the most tourists. Locals take to the streets dressed in nothing but lanzone leaves, singing and dancing and paying tribute to the humble fruit, one of the main sources of income for the island. 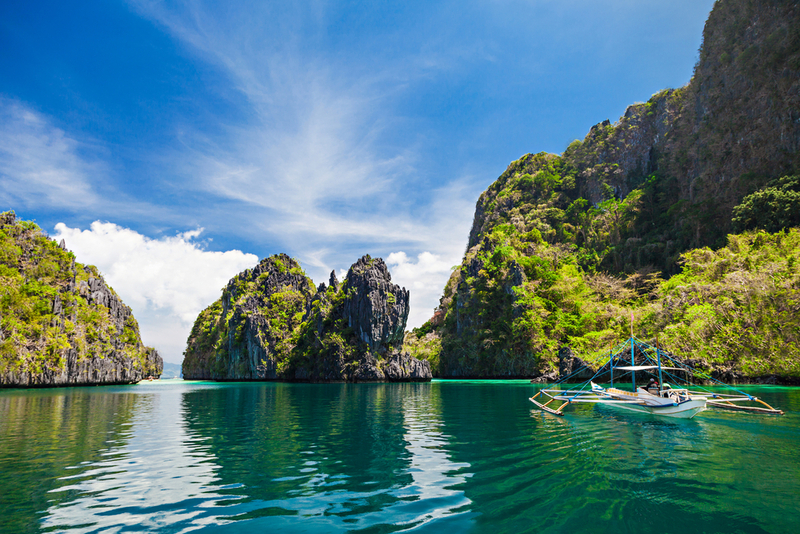 The Philippines sees only a small portion of the visitors that nearby countries, such as Thailand, welcome on a regular basis, but this is perhaps a good thing, as it means that many of the islands have been able to retain their timeless quality. No matter where you go in the Philippines, you will see evidence of the Spanish influences, and it almost feels as though the country has more in common with South America than Asia. Filipinos take pride in their hospitality, so no matter where you go in the Philippines, you are guaranteed to have a warm welcome and an unforgettable stay.